Have you thought about how your life will be 5 or 10 years down the line? IBM gives you a glimpse of what lies ahead of us probably 5 years from now in their recent release of “IBM 5 in 5” study. Very Soon, anything that is in motion or produces heat will be able to produce energy that can be captured and utilized. For example: When you are cycling, Jogging or walking, the kinetic energy produced will be be captured and utilized probably to light your house. Even the heat that is generated while using your computer has potential to be captured and used. Advances in renewable energy technology will allow individuals to collect this kinetic energy, which now goes to waste, and use it to help power our homes, offices and cities! yes, that’s right – you will never required a password to do anything, because you yourself will be password for anything and everything you want to access either online or offline. This will be possible using Biometric Technologies – Each person has a unique biological identity and behind all that is data. Biometric data – facial definitions, retinal scans and voice files – will be composited through software to build your DNA unique online password. Imagine you going to an ATM and just asking for money in your voice and Machine readily dispenses (using your voice signature). We see these things even today, but 5 years down the line, it will be used for anything and everything! You must have already seen videos online where you can give some basic commands just by thinking. Many Scientists across the world have been successful in connecting devices to brains and read the thoughts of Human beings. IBM scientists for example are researching how to link your brain to your devices, such as a computer or a smartphone. If you just need to think about calling someone, it happens! It will be very much like what you probably have seen in Avatar – Where the guy rides a horse or flies merely by thinking. 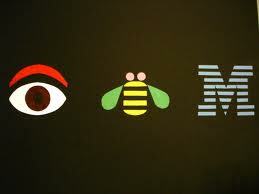 Its just not movies, if IBM is to be believed it will be reality in 5 years time! This is sure to happen – With proliferation of Mobile devices in every nook and corner of the world, it is expected that 80% of the current global population would each have a mobile device. Even extremely poor people will be connected with their cheap mobile devices. This is especially true for country like India, where even Villagers are taking advantage of Mobile phone and using it for checking weather reports for help them decide when to fertilize crops, know when doctors were coming into town, and find the best prices for their crops or merchandise. The Digital Divide will cease to exist in 5 years time! No more will you be flooded with unwanted and irrelevant mails and advertisements – Everything will be personalized. In 5 years time, even unsolicited ads may feel so personalized and relevant it may seem spam is dead. Everything from your ticketing, to your music, to news, to sports, to politics, you’ll trust the technology to know what you want, so you can decide what to do with it. This is what will happen in 5 years – Think where the technology will take us in next 10 – 15 years time! IT major IBM today said it has agreed to acquire Toronto-based risk analytics firm Algorithmicsfor $387 million (about Rs 1,750 crore). The acquisition is subject to applicable regulatory clearances and other customary closing conditions. With the closing of this acquisition, approximately 900 Algorithmics employees will join IBM's Software Group, IBM said in a statement. "Combining Algorithmics' expertise with IBM's deep analytics portfolio will allow clients to take a more holistic approach to managing risk and responding to economic change across their enterprises," IBM General Manager (Business Analytics) Rob Ashe said. Risk analytics, software, content and advisory services of Algorithmics, a member of Fitch Group, are used by banking, investment and insurance businesses to help assess risk, address regulatory requirements and make more insightful business decisions. Algorithmics' risk analytics, software and services combined with IBM's acquisition of OpenPages and recent investments in predictive analytics will provide clients with the broadest range of business analytics solutions, IBM said. More than 350 clients, including 25 of the top 30 banks and more than two-thirds of the CRO Forum of leading insurers, use Algorithmics' analytics software and advisory services, IBM said. The clients include The Allianz Group, BlueCrest,HSBC, Nedbank, Nomura, Societe Generale, and Scotia Capital. "Combining Algorithmics' thought leadership, technology, content and services with IBM's globally recognized analytics business will help a broader group of clients improve their business performance based on a deeper understanding of risk," Algorithmics President and COO Michael Zerbs said. Craig Hayman, general manager of industry solutions at IBM, said: “IBM’s goal is to better equip public safety officials and businesses with the information and tools they need to ensure safer cities." IBM IS testing a smartphone software designed to predict traffic jams and warn motorists before they even take to the roads. The software major said late on Tuesday that its employees in the San Francisco and Silicon Valley areas of Northern California have been testing technology that will ultimately help drivers around the world avoid fouled traffic. “ Those involved in the pilot project agree to have location- sensing capabilities in their smartphones automatically tracking where they drive and when,” -IBM Smarter Traveler program manager John Day. The information is fed through the Internet to computers that identify patterns such as commutes to and from work. Meanwhile, data collected from roadway censors commonly used for online traffic maps is analysed to determine conditions that usually lead to trouble. “ The results are combined to form personalised predictions of when a motorist is apt to run into highway headaches. We wanted to take advantage of analytic tools to provide predictive capabilities; to get correlations with minor slowdowns and major ones that happen after that,” Day added. IBM researchers worked with California state highway authorities and a Mobile Millennium Team at the University of Berkeley in California, on the project. The smartphone application lets people receive customised alerts warning of probable traffic trouble before they set out on commutes or other routine drives. IBM has inked a pact with Ester Industries Limited to help the Gurgaon- based manufacturer become energy efficient and scale its hardware infrastructure for future growth. The agreement, which involves the installation of IBM Blade Center servers running IBM AIX operating system and IBM storage for SAP ERP, will help Ester run its critical business applications, including SAP ERP, according to a business report. Ester can save on hardware and software and also have better manageability for overall IT as its application workloads can now be distributed in a virtualized environment with the help of the new server infrastructure. Ester CIO Sunil Soni said they needed an IT partner that would help it grow rapidly and remain competitive through advanced technology.